Colleen from Scrappin Granny here today. I have for you today a little Love Card so quick and easy and fun to make. There are several layers on this card, this being the first. 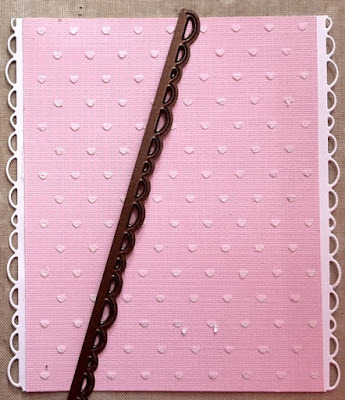 Next I dug into my scrap of paper and found this pretty pink already embossed with little hearts. 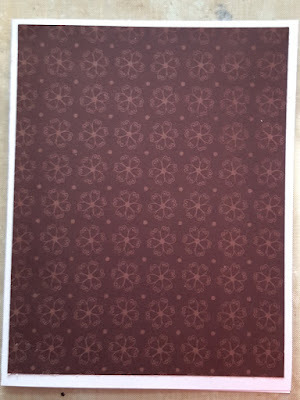 I used the Striped Swirl Edger die by Sue Wilson to create the white border stripes. I love this die because of the versatility of it. I added the embossed heart layer next. On top of that I added a sticker that I had mounted onto some of the leftover bottom layer of paper. Then I mounted that onto of the pink paper. To finish the bottom of the card I used the Rose Border die by Jeanine's Art and cut out a white border and a red border and mounted them on top of each other and fixed them to the bottom. 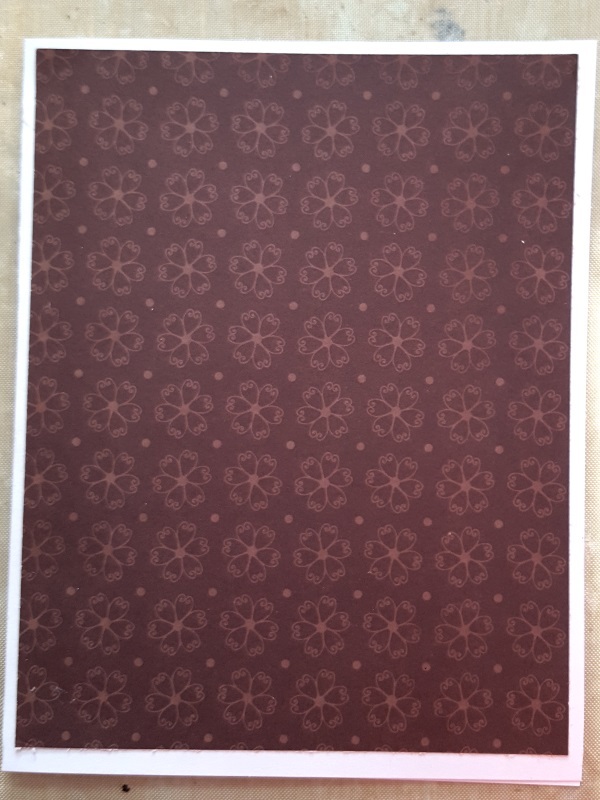 I used The Best Glue Ever to add the borders. To finish the card I used Cheery Lynn Exotic Butterfly and cut out two one pink and one red and mounted them together. Love this sentiment, and I added some more to my wish list. 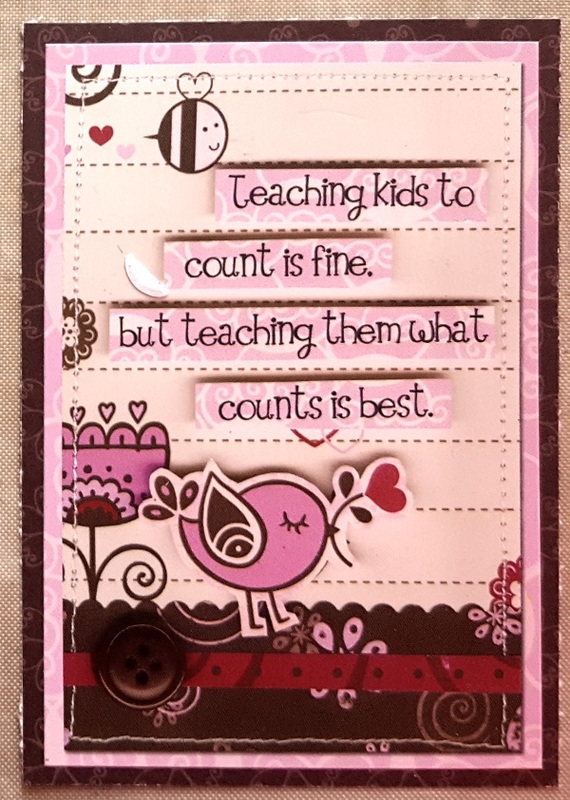 Very cute card and so creative use of dies. What a touching card! Love the sentiment and all the wonderful layers on your sweet card! Super sweet and beautiful! I adore that sentiment!!! OMG how cute is this card! 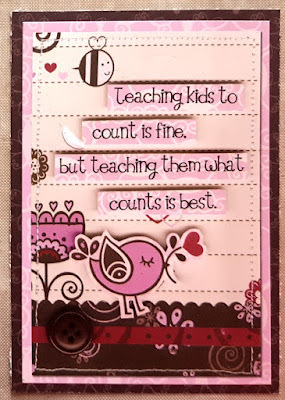 What a fabulous use of die cuts and love the sentiment!! such a pretty card with so many detailed layers! great make! This is a lovely card. Love all the shades of pink. And the sentiment is so true!